News TV Channel / ATR is a Ukrainian TV Channel whose target audience is Crimean Tatars. It was broadcasting in Crimea, Ukraine from 1 September 2006 until 1 April 2015 when it was forced to shut down by occupying Russian authorities after failing to register under Russian law. Mid-June 2015 the channel resumed its broadcasting in mainland Ukraine and is since then located in Kiev. 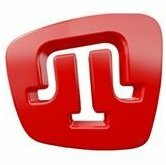 When located in Crimea most of the channel's programs were in Russian language (60%) with 35% in Crimean Tatar and 5% in Ukrainian. ATR ran strongly pro-Ukrainian coverage of the events leading up to the 2014 Crimean referendum that led to the March 2014 annexation of Crimea by Russia. Early May 2015 ATR's website resumed its activities. On 18 June 2015 the channel resumed its broadcasting in mainland Ukraine and is since then located in Kiev.